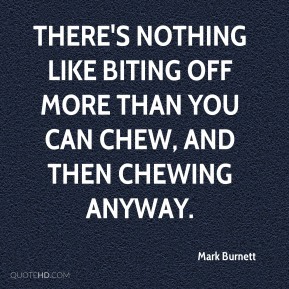 There's nothing like biting off more than you can chew, and then chewing anyway. 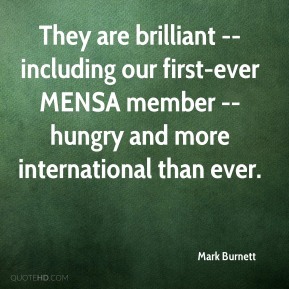 They are brilliant -- including our first-ever MENSA member -- hungry and more international than ever. 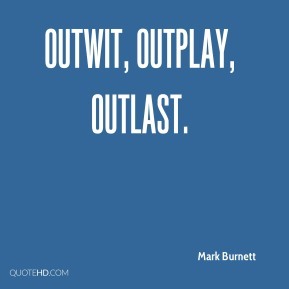 I do believe there's a big opportunity there. 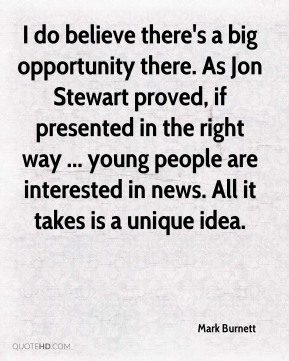 As Jon Stewart proved, if presented in the right way ... young people are interested in news. All it takes is a unique idea. 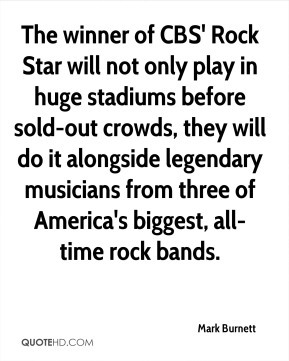 The winner of CBS' Rock Star will not only play in huge stadiums before sold-out crowds, they will do it alongside legendary musicians from three of America's biggest, all-time rock bands. 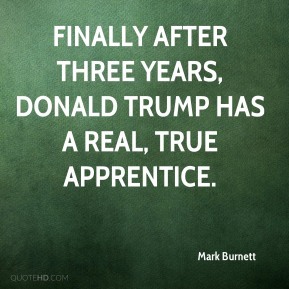 Finally after three years, Donald Trump has a real, true apprentice. Over the past four seasons of The Apprentice , Donald Trump has used the final episode to hire candidates with advice only from George and Carolyn. This year we thought it would be interesting to discover what America has to say about the candidates, incorporating our fans and viewers as virtual judges. While Trump will still be the final arbiter of who he hires, America's feedback is certain to have an impact on his decision. 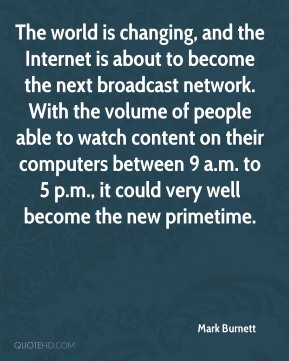 The world is changing, and the Internet is about to become the next broadcast network. With the volume of people able to watch content on their computers between 9 a.m. to 5 p.m., it could very well become the new primetime. 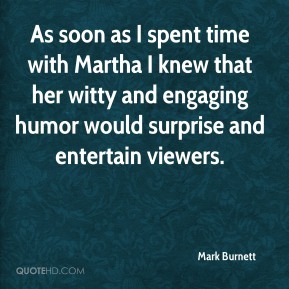 As soon as I spent time with Martha I knew that her witty and engaging humor would surprise and entertain viewers. 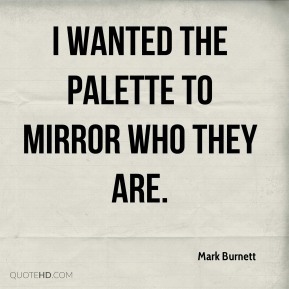 I wanted the palette to mirror who they are. 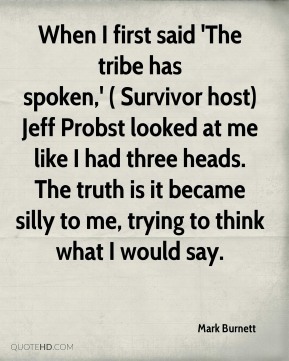 When I first said 'The tribe has spoken,' ( Survivor host) Jeff Probst looked at me like I had three heads. The truth is it became silly to me, trying to think what I would say.